Dale L Popovich IWS is proud to announce he has been accepted as a Artist member at the Historical Brown County Art Gallery Artists Association in Nashville, IN. 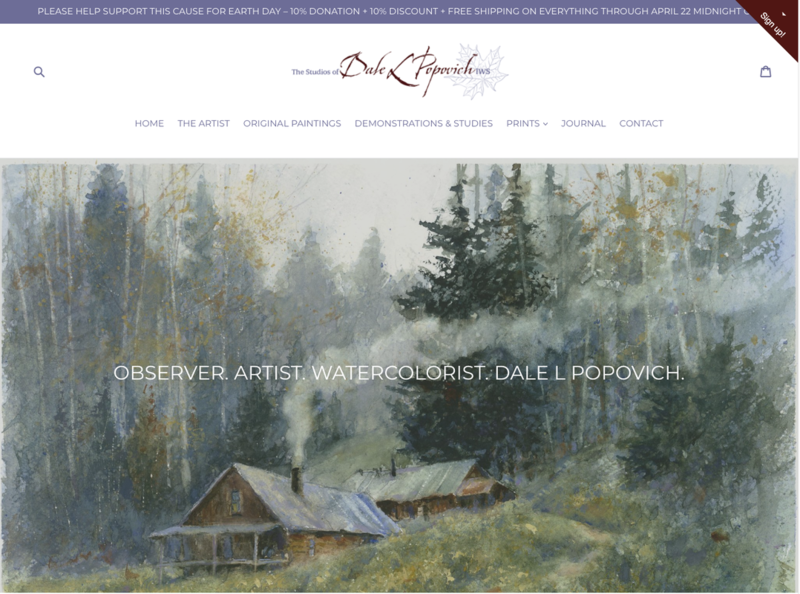 If you would like to make an inquiry regarding original watercolors, please click here or call (812) 988-4609. ​The Brown County Art Gallery was established in 1926 by the early members of an important regional art colony who began exploring rural southern Indiana in the 1890's. These early artists had been trained in the best art schools of Europe and America and were attracted to the rolling hills of Brown County because it offered both dramatic landscapes and interesting people to serve as subjects for their work.